Practically no one would call the process of getting a small business loan “simple.” You’ll have to meet a ton of different business loan requirements, which change depending on the loan product you want. And among those fluctuating factors might be a minimum credit score for loan eligibility. Or, maybe not. It has to do a lot with your situation and what exactly you’re after. But for the vast majority of small business loans, the lender will at least look at your credit score. Credit scores are a crucial factor in the loan underwriting process, since they help determine how trustworthy a borrower really is. The more creditworthy the borrower, the less risk that borrower poses to the lender. On the other hand, business owners with lower credit scores might have a tougher time securing the loans they want—or be shut out of certain loan types entirely. But every type of loan, and every lending institution, will require a different minimum credit score to consider a borrower’s eligibility. With that in mind, it’s worth looking at the minimum credit scores required for each loan type—or at least the ranges they’re in. And, before we go forward, heed a few caveats below! Is There a Minimum Credit Score for Loan Eligibility? Technically no. But for specific types of loans, lenders strongly prefer to see your credit score in a certain ballpark. What we mean by “ballpark” is that there are no specific credit score numbers that are held as hard and fast rules. Every loan application is evaluated on a case-by-case basis, and every borrower is approved or denied based on a combination of factors in their application. But assuming your other credentials meet or exceed the lender’s other standard requirements—such as time in business and annual revenue—then there are minimum credit scores you should aim to have in order be eligible for different types of small business loans. With that in mind, let’s put down some building blocks. There are two types of credit scores: your personal credit score and your business credit score. They’re different—and as a business owner, you might have both. When you hear the words “credit score,” you’re probably thinking about your personal credit score. For the most part, that’s what lenders are thinking about, too. And that’s because it’s one of the best indications of your fiscal responsibility. 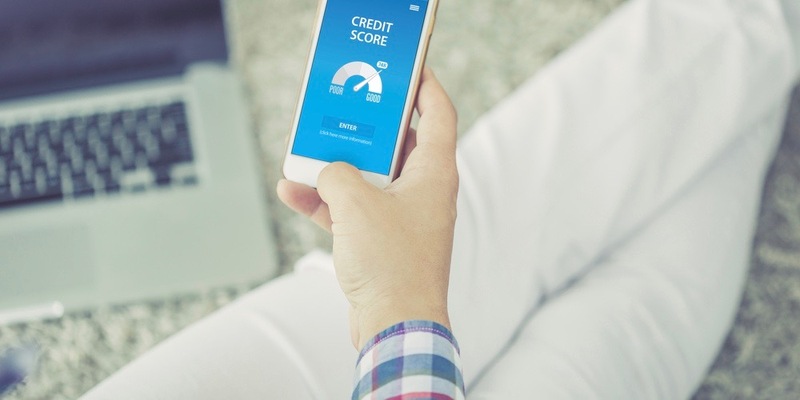 About your FICO score: There are three major credit bureaus that each calculate your personal credit score: Equifax, TransUnion, and Experian. And the number they give you doesn’t come from thin air! Rather, it’s pretty unified. The most common method of evaluating credit is with the FICO score, which comprises a few different factors in your credit profile to come up with a number. Each credit bureau uses their own FICO algorithm to come to a number. And that means they might all weigh those factors differently. It also means that your credit score might alter slightly (think a 20-point difference) across all three of these bureaus. But nothing drastic. Personal credit scores usually range between 300 and 850. To qualify for most kinds of small business loans, you likely need a credit score of at least 550. We’ll get to specific credit scores for business loans in a bit, but keep that number in mind for now. Like your personal credit score, your business credit score is a measure of your historical reliability with your financial commitments. But this, like you might guess, specifically tracks your business’s financial history. Equifax, Experian, and Dun & Bradstreet all measure business credit scores, but Dun & Bradstreet is the largest and most popular agency. They’ll calculate your number on a scale from 1-100. You also might encounter something called a FICO SBSS (FICO Small Business Service) score. As its name suggests, the FICO SBSS score is particular to small businesses. It won’t be a necessary component of every business loan application, but you definitely need it if you’re applying for an SBA loan. Your FICO SBSS score will land somewhere between 0 and 300. Calculating your business credit score: This is similar to your personal credit score, but the bureau will also consider things like the size of your company, your industry’s risk factors, and relationships with vendors. And they’re mostly calculated according to public documents—as opposed to personal credit scores, which are determined based on private information. If you don’t have a business credit score, don’t worry too much. The vast majority of small business loan applications will consider your personal credit score over your business credit score, and most don’t require a business credit score at all. You’ll really only need to provide a business credit score if you’re applying for an SBA loan, or a term loan from a bank. →TL;DR: All lenders will look at your personal credit score when you apply for a loan. Only some will require your business credit score (usually the bank, the SBA, and for longer-term loans). Why Does My Credit Score Matter When I’m Applying For a Loan? During the small business loan underwriting process, underwriters evaluate risk to the lender. And by “risk,” we really mean the possibility that the borrower will not repay their debt. So, an underwriter might deem a business risky because they’re unable to handle a loan based on their income. Or maybe—and this is really where a personal credit score comes into play—a borrower’s track record shows that they’re unreliable with their financial obligations. Because that’s what a personal credit score really is—a historical measurement of your financial responsibility. So, if you’re unable to repay your personal debts on time, it’s a reasonable bet that you’re not going to pay off your business’s debts on time, either. On the other hand, if your personal financial history is mostly free of faults (like tax liens, bankruptcies, and judgments), then there’s a good chance you’ll stay on top of your business’s financials, too. →TL;DR: Lenders only want to loan money to borrowers who are capable of repaying their loans in full and on time. Since your credit score is a measure of your history with debt, it signals to the lender whether or not they should look at you as a risky candidate. We started to mention that every lender and loan type will look for a different minimum credit score for loan eligibility. And every lender will place a different emphasis on your credit score during the underwriting process. So, there’s no stiff rule. But, in general, certain types of loans require a much higher credit score than others. And across the board, you can’t have only the minimum requirements of a small business loan and qualify for the financing you’re aiming for. Your other credentials—such as annual revenue, time in business, investment in your business, etc.—need to balance out that minimum credit score. SBA loans are among the best types of loans available to small business owners. These loans are issued by banks, but they’re partially guaranteed by the US Small Business Administration, a federal agency that supports small businesses. Depending on the loan candidate and the loan program, the SBA can offer the highest capital (into the millions), the lowest interest rates (single digits), and the longest repayment periods (decades) on the market. But they’re super desirable, which means you’ll be competing with a lot of other small business owners for those great terms. All of which is to say: It’s pretty hard to get an SBA loan. Only the businesses with the most robust financial profiles will be in the running. And although the SBA really aims to provide opportunities to lots of different types of business owners and doesn’t require a certain credit score, realistically, you want to come in as strong as you can. You can have around a 640 credit score on the low end, but the rest of your application must be stellar. Like SBA loans, term loans from traditional lending institutions like local banks, commercial banks, and credit unions tend to carry the most desirable terms. The most eligible borrowers might be able to fetch hundreds of thousands of dollars in capital (or millions, if you’re talking commercial banks). They also offer long repayment periods and low interest rates. But by lending more money, and waiting longer to recoup their debt, these institutions are taking a huge leap of faith when they accept a loan application, and they need to be absolutely positive that they’ll be repaid. So, as you might expect, only the borrowers that the bank underwriters deem the most reliable will be accepted: Think many years in business, high annual revenue, steady profitability, and, of course, an excellent credit score. In reality, you’ll really want to be coming in in the low 700s here at minimum. If you need money to purchase vehicles, machinery, computers, or any other equipment needed to run your business, an equipment loan might be the way to go. It’s a collateralized loan, which means the lenders can seize and sell that equipment in case the borrower fails to repay their loan. Because they’re guaranteed collateral, lenders aren’t taking on quite as much risk in extending equipment loans. That’s good news for borrowers looking for less stringer qualifications. Because, in general, they’ll be more lenient when weighing a borrower’s credit score. For equipment financing, you might be able to qualify with a minimum credit score of 600. The rest of your loan terms will depend on the actual equipment you’re looking to finance—how long it’ll last, what industry it’s for, and, interestingly enough, how universal its use is. Short-term loans from alternative lenders are a great option for a lot of borrowers that need faster turnaround time on financing. Online platforms have streamlined the application process, sped up the time to funding, and, for the most part, eased eligibility requirements for short-term loans. With short-term loans, capital amounts tend to cap at $250,000, and repayment periods range between 3 to 18 months. 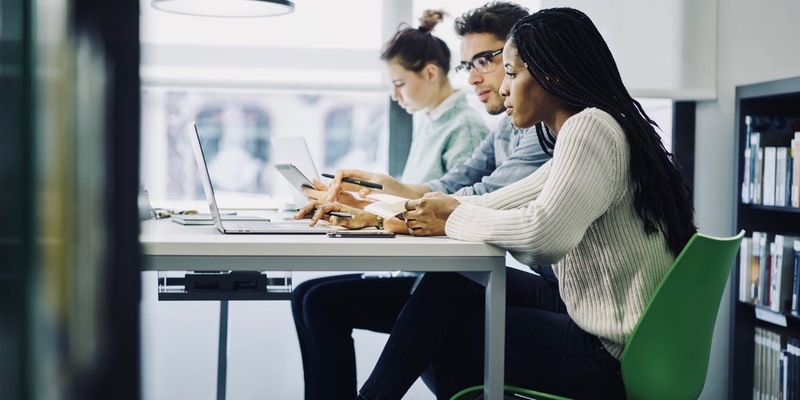 Compared to the millions of dollars in capital and decades-long repayment periods that the SBA can offer (to its most eligible candidates, of course), short-term loans from alternative lenders are relatively low risk. So, you’ll have a shot at securing a short-term loan from an alternative lender with a minimum credit score of 550. But, as a rule, the lower your credit score, the higher your interest rates will be. Invoice financing, aka accounts receivable (AR) financing, is another type of collateralized loan. In this case, the lender advances you cash collateralized by your business’s outstanding invoices. In this type of loan, the borrower is not the lender’s riskiest factor. Rather, the onus is on the borrower’s customer, because it’s that customer’s payment (or invoice) that the lender is collateralizing. In the underwriting process, the lender is really going to consider whether it’s worth it for them to finance your business’s invoices. So, lenders might not consider your credit score as heavily as they would for other types of loans when it’s contingent upon the borrower to responsibly pay back their debt. Some invoice financing platforms, like Fundbox, rely on many factors besides credit score in their credit decisions. . Keep in mind, though, that you probably won’t have access to as much capital if you go the invoice financing route as you would with another type of loan. But when creditworthiness is a larger factor for an invoice financing loan, successful borrowers generally have a minimum credit score of 600. →TL;DR: You might be able to start qualifying for loans at 550 if you have other strong factors in your application to lenders. There are other types of small business loan products, though, that don’t look at a credit score at all. If your credit score isn’t where you want it to be, you’re definitely not alone—and you’re not doomed to bad credit forever. There are a bunch of ways to improve your credit score. The first step? Pay down your existing balances, and get your bills in on time, every time. And if you don’t have a high enough credit score to qualify for the loan you want, you still have financing options. The following three financing alternatives either require a lower minimum credit score than other types of loans—or they’re a great way for newer businesses to build a solid financial history and boost existing credit scores. One of the best ways for business owners to build and improve their credit scores is to use a business credit card responsibly. But how are you supposed to do that if your credit score is too low to qualify for a credit card in the first place? Go for a secured credit card. Secured credit cards are backed by a cash security deposit, which functions both as collateral, in case you can’t pay back your debt, and as 90%-100% of your credit limit. Since that security deposit alleviates the risk to the credit card company, the issuer is more willing to deal secured credit cards to individuals with lower credit scores. Some secured credit cards, like the Capital One Secured Mastercard, actually have no minimum credit score requirements. Others may require a minimum credit score of around 550. If your credit score is pretty good, but not quite good enough for the loan you want, you should consider applying for a 0% intro APR credit card. A 0% intro APR period lets you roll over your credit card payments from month to month, for a certain amount of time after sign-up, with no added interest. Intro periods vary from card to card, but they’re typically between 9 and 12 months. And the absolute longest on the market is 15 months, courtesy of the American Express Blue Business Plus credit card. After your interest-free months are up, a variable APR sets in at a rate depending on your creditworthiness. This rate is market-sensitive, so be sure to consult the issuer’s terms and conditions for the latest APR information. The best 0% intro APR credit cards require a minimum credit score in the 600s. But that grace period gives you plenty of time to use your card responsibly—paying your bills on time and in full each month (with no added interest during that intro period! ), spending within your credit limit, etc.—in order to build a strong credit history. A business line of credit is an ideal option for small businesses that need flexible financing on a regular basis. 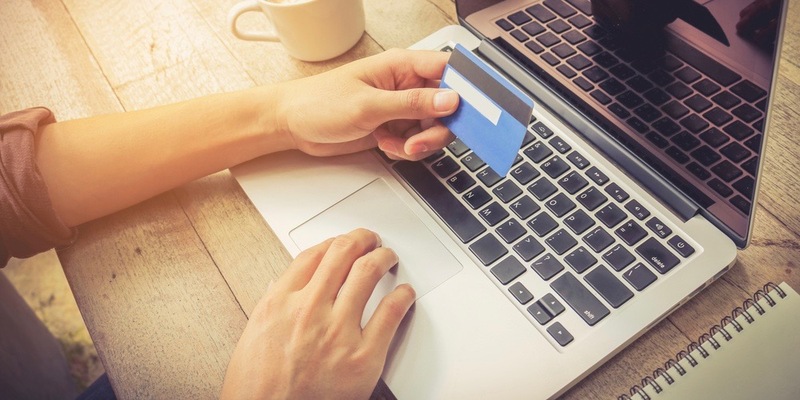 Like a credit card, a business line of credit is a revolving resource that you can draw down from at whatever time, in whatever amount, and for whatever purpose you need. Unlike a term loan, you’ll only pay for what you use. And as long as you repay your debt in full and on time, you can keep returning to your line of credit as often as you need. The minimum credit score for business lines of credit varies according to the lender, but, in general, those with fair credit scores can still be eligible for this type of loan. The amount of funding you receive and your interest rate depend on a few factors in your business’s financial profile. So, if you have better credit, you’ll probably have access to more capital, and your loan will carry lower interest rates. Younger businesses with limited financial histories generally have an easier time qualifying for business lines of credit than term loans. Plus, this funding option is a great way for those businesses to build up their credit—because it’s revolving, you’ll have multiple opportunities to prove that you’re a trustworthy borrower. →TL;DR: Starting with a business credit card or a business line of credit, both easier to secure than a small business loan, can help you build credit. And that’ll allow you to work toward the small business loan you want! Your credit score is one of the most important factors that lenders consider in your loan application, since it’s essentially a measure of your financial responsibility. Still, your credit score is just one part of your business’s holistic financial profile, every part of which underwriters take into account during the application process. And don’t forget to consider business credit cards and business lines of credit as alternatives, too. They can help you build or rebuild your credit, so you can eventually optimize your business for the absolute best loan products available.